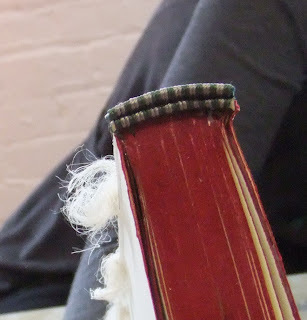 Bookbinding II Day 4 - Endbanding. Some brave souls tried a 2 core beadless endband. Results were very promising.